I wore this outfit out to dinner with the family last Saturday, I practically live in blazers these days. They are a staple item in my wardrobe and I’m not sure what I would wear without them. They are so easy to wear and can completely lift the outfit you’re wearing. I look a bit knock-kneed…..hmmm…. This top is just super cute, it has two tiers on the top with a delicate cream lace trim. It also has a drawstring waist which is rather flattering. 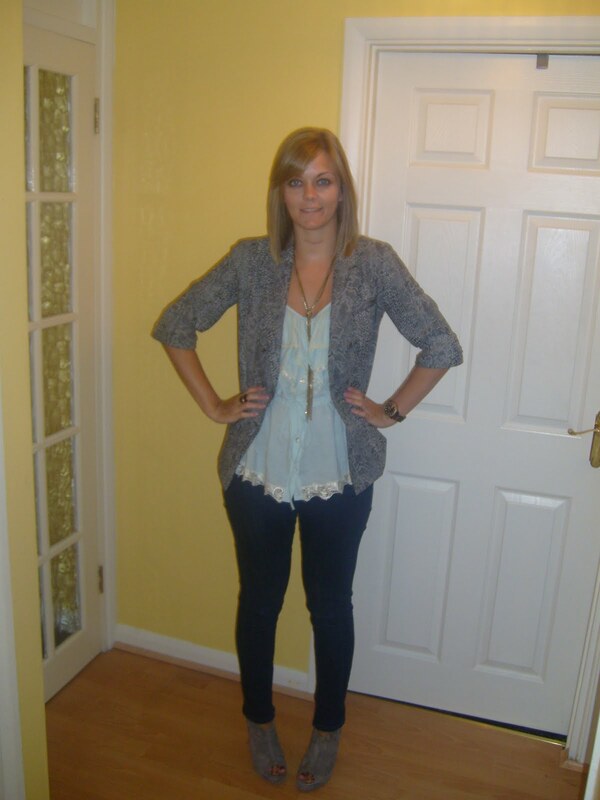 I kept it simple with Topshop skinnies, grey suede wedges and topshop snake print blazer. "I may have a problem…"